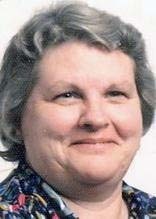 WATERLOO — Sharon Elaine Andorf, 63, of Waterloo, died Wednesday, July 25, 2012 at Muse Norris Hospice Inpatient unit in Mason City of natural causes. She was born Aug. 24, 1948, daughter of Frank and Gladys Foster. She married Norman C. Andorf Jan. 17, 1965. He died Nov. 12, 2004. Mrs. Andorf worked at the county home as a certified nursing assistant before she was a homemaker. Survived by two sons, Tony formerly of Waterloo and Troy (Diana) of Waterloo; two daughters, Tami (Clyde) Bartosh of Rockford and Tera (Merle) Derifield of South Dakota; four brothers: Darwin and Howard, both of Waterloo, Myron of Texas, and Steven Foster of Solon; two sisters, Shirley Blackford of Cedar Rapids and Eleanor Foster McGowan of Waterloo; three grandsons; three granddaughters; several nieces and nephews; and a brother- and sister-in-law, Maynard and Pat Bietz of Denver. Preceded in death by a grandchild, Angelo. Celebration of life will be held at a later date. There will be no services. She will be cremated.